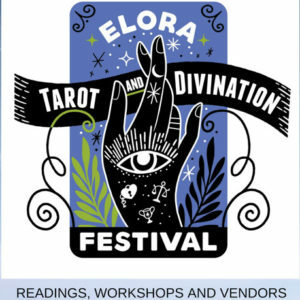 Come visit the vendors and get a reading. Want to learn how to get out of your head, tune into your intuition and empower your decision making? Welcome the High Priestess energy into your life and get some next steps on ramping up your energy and tuning into your OWN intuition. Use your intuition from every day decision making to reading tarot. Spark your intuition and watch your passionate life light on fire! Questions about love are probably the most asked in card reading. How to find love, hold on to it, or get over having lost it, brings up so many feelings and questions for us all. In this workshop, we will explore how to use tarot spreads, along with both psychological and predictive reading approaches, to help you and your clients navigate the heart’s mysteries. Please bring your cards and a notebook. Suitable for all levels of experience.